NYC, 04/29/2019, 7:00PM. 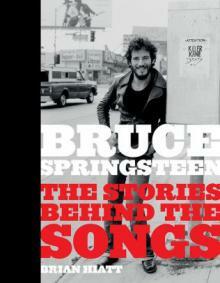 Bruce Springsteen: The Stories Behind the Songs. Rolling Stone writer Brian Hiatt digs into the writing and recording of the E Street Band songs on Springsteen's studio albums, from 1973's Greetings from Asbury Park to 2014's High Hopes, offering a unique look at the legendary rocker's methods, historical context, scores of colorful anecdotes, and more than 180 photographs. Hiatt will be in conversation with Max Weinberg from the E Street Band.